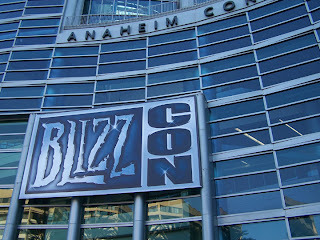 After my week from hell, I was so happy to get away for a weekend and head down to Anaheim for this year’s Blizzcon. In case you live with earmuffs and blinders on, Blizzcon is an annual convention held by Blizzard Entertainment to celebrate their games and fans. Some of the biggest names in gaming are created by Blizzard, specifically their main three franchises, Warcraft, Starcraft, and Diablo. This is going to be a small update since I still have to pack and get things in order. My midterms were this week and I swear I’ve never been more stressed in at least the last five years. However, that’s all done and now I have the weekend to look forward to. 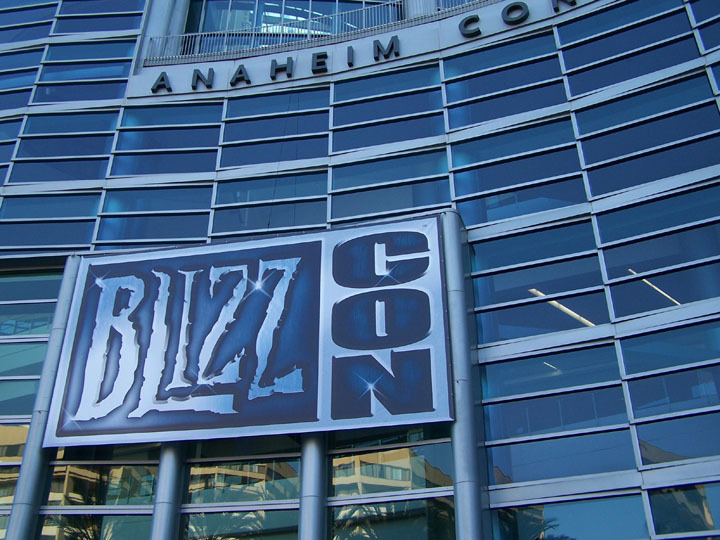 Yes, I’ll be heading to BlizzCon in Anaheim, CA. BlizzCon is an annual convention for fans of games created by Blizzard Entertainment. This includes World of Warcraft, Starcraft, and Diablo. I will be posting daily updates on what’s happening on both my Twitter and Facebook, so be sure to keep those bookmarked. If you have any questions you want me to ask, feel free to send those along too. This is a great way to end a really heinous week. Ah what a week it has been. This post will be a little less journalistic than my others and more of covering what I’ve been playing lately. This post was supposed to be up last week but one of the topics here will explain why it’s up today instead. When you think of the Call of Duty franchise the first thing that pops in many people's head is multiplayer. So much so that the same logic is being applied to the new Medal of Honor, which released today. Multiplayer has been a huge feature for the series since its inception and it shows no sign of stopping with the introduction of Call of Duty points and wager matches in Call of Duty: Black Ops. Singleplayer, on the other hand, has had more of a throw away feel to it. Many of the narratives told in Call of Duty games are derivative, short, and don’t have much impact on the game as a whole. However, with Call of Duty: Black Ops, this may change. Treyarch released a singleplayer trailer last night and it shows a heavy focus on secrecy, deception, and playing the lone wolf in missions that have been stricken from the record. Call of Duty: Black Ops will be available for Xbox 360, PlayStation 3, PC, Nintendo Wii, and DS on November 9, 2010. New York Comic-Con just finished up this weekend and Rocksteady, the developer working on the upcoming sequel to the 2009 game of the year Batman: Arkham Asylum, released some screenshots detailing Gotham City and its environments. Due sometime in 2011, Batman: Arkham City will take place outside of the Asylum (though in what capacity is unknown) and will feature the talent of Kevin Conroy as Batman and Mark Hamill’s final performance as the Joker. Other characters appearing include Mr. Freeze, Talia al Ghul, Two-Face, Catwoman, and Harley Quinn. In November 2009, Call of Duty: Modern Warfare 2, developed by the now shell of its former self Infinity Ward, set the pre-order record by selling nearly 3 million copies before its release. Day one says reached almost 5 million between the US and UK, generating $310 million in revenue and making it the biggest entertainment launch in history. The game went on to sell over 20 million copies worldwide and amass over $1 billion in sales. But that was so last year. The newest iteration of the annualized Call of Duty franchise, Black Ops, is already shaping up to break records set by last year’s model. GameStop’s Senior Vice President of Merchandising Bob McKenzie told Gamasutra that the game is looking to overtake where Modern Warfare 2 was last year. Treyarch, who is developing Black Ops, also announced this week that game would ship with support for stereoscopic 3D for all platforms. VG247 had a first hand experience with the 3D enabled version, which you can read about here. A 3D TV and 3D glasses are still required, but it is a nice gesture for early adopters who have already invested in 3D technology for the home. I haven’t played a Call of Duty game since 2003 when the first one was released, so I’ll be picking up Black Ops, though I’m not sure how close it will come to actually breaking Modern Warfare 2’s record-setting sales. EA’s reboot of the Medal of Honor franchise, being released on October 12, is sure to take some of Black Ops’ potential customers, but Call of Duty: Black Ops will surely reach high sales numbers. Whether those numbers actually beat Modern Warfare 2’s in the short or long term, is a toss-up. Though not technically part of the Tomb Raider series, Lara Croft and the Guardian of Light is a great example of what can happen when fresh ideas come to a seemingly dead franchise. 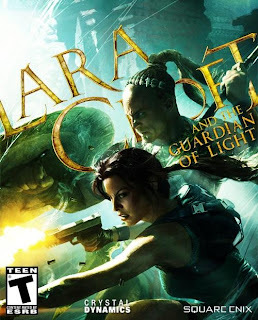 Available only through download, Guardian of Light takes a detour from the normal experience of Tomb Raider, setting the player in an isometric perspective. High replay value combined with local or online co-operative play makes Lara Croft and the Guardian of Light one of the best Tomb Raider games in recent years. The thing about release dates is that they can always change. Companies announce games way ahead of time to build not only hype, but community around that game. Community drives word of mouth, which builds onto the hype already created by the game and its company, without any external work. As release dates get closer and closer, hype about a game escalates. Sometimes this can work in the game’s favor, as with the evidence of the hype machine I Love Bees, the alternate reality game that helped market Halo 2. Other times hype can be so overwhelming that it is beyond capable, and the the audience is disappointed. I could name numerous MMO games where this scenario occurred. Through my own experience and being observant of those around me, I’ve learned not to get carried away regarding hype and release dates. For example, Bioshock Infinite was announced earlier this year, but isn’t slated for release until at least 2012. I am looking forward to seeing what Irrational Games' final produce will be, but my anticipating will certainly be quelled by the string of great games coming 2011. 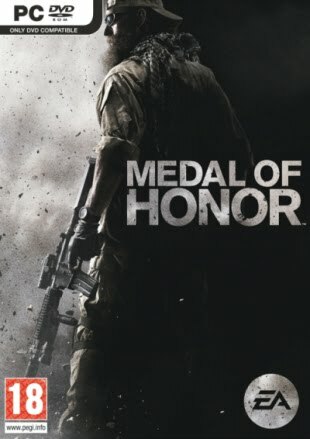 Following the controversy surrounding the use of the name Taliban in publisher EA and developer Danger Close’s upcoming first-person shooter, Medal of Honor, Executive Producer Greg Goodrich posted on the Medal of Honor blog about an upcoming change to the game’s multiplayer component. So after only a month of EA defending the decisions to include Taliban in the game’s multiplayer, saying that when kids play cops and robbers, someone has to be the cop, and someone has to be the robber, EA decidedly buckled to the pressures and renamed it to Opposing Forces. This doesn’t change anything in terms of gameplay, players will still be able to play as each side in multiplayer and the game will still look the same. In early September, it was reported that the commanding General of the Army and Air Force Exchange Services decided to have Medal of Honor pulled from GameStops on US military bases worldwide, due to “well-documented reports of depictions of Taliban fighters engaging American troops,” in the game. It is currently unknown if this decision will remain or not, due to opposing force change being implemented. I’m a little disappointed in EA. I was glad that they were sticking with their guns and going using the name Taliban despite who or what groups may be offended. I don’t want to call into question our freedom do whatever we want, or say whatever we ant, but it seems ironic for a game to effectively censor itself when the game’s essence is about fighting for freedom.